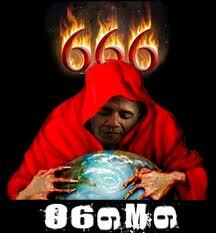 The illuminati satanic Mafia Plan: to Kill 6.7 Billion People Worldwide. (500 Millions Humans, will be left ALIVE Worldwide). The prophesy of Daniel chapter 8 already had its first fulfillment, but some prophesies in the Bible have double fulfillment’s; note that the Angel Gabriel (Jesus Christ) told Daniel that it was for the time of the END…Daniel 8:17. -The Windy City (Great Airs). -Cook county (a LOT of important “stuff” has been “cooked” there, and something BIG is in the “cooks” there NOW!…). -Time zone: 06:00 (six is the devils number). -North America time zones adopted in the city (what a “nice coincidence”…). -Zip code where Willis tower is located: 60606 (remove the zeros and you get: 666). -City extends to the West, North and South (Lake Michigan its East, “The Watercourse”). 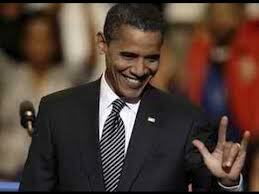 -4th GDP in the world (Number 4 is important too, represents the “4 princes of hell”, satan himself). -Jean Baptisate Point du Sable, first settler of the city, he was African-French descendant. African descendant, hum…where was the father of Obama born? -The first skyscraper in the world was built in the city in 1885 (Babel was the first ancient city that did this before modern skyscrapers …). -First American city to have homosexual rights organization in 1924. -First black mayor of the city was Harold Washington in 1983 (Washington, where I have heard about that last name before? He was Mason by the way, George Washington...). -Anton Lavey was born in the city (founder of the church of satan and writer of the satanic “bible”). -Mayor and most powerful gang in the city: satan disciples. -FBI headquarters are in Chicago. -First Senator then President, Barack Obama came from this city. The Two Horns “And it had two horns. And the two horns were tall, but the one was taller than the other, and the taller was the one that came up afterward”. 2-Willis Tower (former Sears Tower). -Both built by same people. Architecture Company: Skidmore, Owings and Merrill. Structural Civil Engineer: Fazlur Khan. -Both have two big antennas on top, one is taller than the other (they look like horns). -When the building topped out on May 6 1968, it was the tallest building in the world outside New York City. -Observatory is at 314 meters (Pi=3.14). -Sixth tallest in the USA. -Design, Obelisk design that originated in Egypt, and it’s a Masons-Illuminati adopted one too, just like the monument to Washington in the USA capital. This design represents the pinus of the false Egyptian “god” Osiris. -Third tallest building in the world with its antennas masts. -Address in 60606 zip code. -Floor count: 108 (plus 3 basement floors). -Tallest building in the USA (in the world from 1973 to 1998). -Design allows future growth of extra height if wanted or needed. -The design was “inspired” by an advertisement of a package of cigarettes. -Bundled tube of 9 structures, each essentially a separate building (9 is 6 upside-down). -Its height was restricted by the Federal Aviation Association to protect air traffic (O’Hare airport is the busiest in the USA and second in the world). -Completed May 1973 (fifth month, this is important in the Illuminati demoniac cult, that satan organization was founded in May 1st). -8 black bands (louvers) to obscure the structures belt trousers (I don’t know yet what the 8 number means for them…). Eight means a "victory" in Jehovah’s Bible. Examples include: 8 people survived in Noah's Ark (see Genesis 7:7 and 2 Peter 2:5) and the Circumcision was performed on 8th day (Genesis 17:12). And the USA Independence war lasted 8 years too…(1775-1783). -4 antennas, 2 taller,western antenna is taller. 4 means the “four princes of hell” (see below in the “Conspicuously four” for more info on this). -The movie I-Robot shows this future tower with Triangle antennas…(Masons-Illuminati pyramid symbol, as shown in the back of the dollar bill). -Building leans about 4 inches towards the west due to a slight asymmetrical design, placing unequal loads in its foundation. -Narseal Baptiste wanted to destroy the building in 2006 (relative to the first settler & founder of Chicago, Jean Baptiste?...and why he wanted to do that? He MUST KNOW something, if he is still alive that is...). It was “coming upon the surface of the whole earth and it was not touching the Earth”= Nuclear missiles sent to the USA or its controlled territories. Its GAME OVER for the USA. Period. “And I saw it coming into close touch with the Ram”, China it’s the mayor business partner of the USA regarding trade between nations. “And it began showing bitterness toward it”, how do YOU feel when someone owes you a LOT of money and don’t want or can not pay you back?...do you forgive them and condone the debt, or you send them to “sleep with the fishes”?...Its a simple Mafia rule. -“It proceeded to strike down the Ram, and to break its 2 horns, and there proved to be no power in the Ram to stand before it”. Whom is going to finance an USA-China war?...when the USA its financial collapsed…the richest most powerful dark group in the world is trying, and finally they will eventually cause THIS in the background…the Illuminati and all its ramification groups/clubs. “The Ram proved to have no deliverer out of his hand”. “And there proceed to come up conspicuously four instead of it, towards the four winds of the heaven”. Whom is it this one? There is an old logo of the United Nations on page 254 on the book of “Revelation-Its great Climax at Hand” (published by the Watchtower in 1990 –Spanish version), that one has a crown on the top of the current logo, the crown has 4 sticks/ends on top (I don’t know why the crown is there, since I could not find the same logo over the internet…). The “four princes of hell”. satan himself. Also four signifies "the world," preeminently in the Book of Revelation. Example: The four corners of the Earth (Revelation 7:1). In the bottom of the crown there are 5 “precious stones”. The satan star/pentagram is made of 5 sticks/ends. There are 5 main populated continents in the world. 9 is 6 inverted, satan number. They LIE that they “don’t believe” neither in Yahweh (Jehovah), nor satan…that is the BEST give away, they REFLECT their “god” perfectly, he is the father of LIES. I have not read that demoniac book and NEVER will, I only got this info by reading the Wikipedia page with general information about them or a few interviews they have given for the general public (to mislead them the latest…). I don’t have to read that hell dark hole, I know satan and his followers perfectly, with what is written in the true BIBLE about them, Jehovah’s Holly Book. Why 9, besides that is the 6 upside down? Because Jehovah’s original commandments to His people were 10. He wants to be “better” in all regards against the Creator (yes his creator even…but he decided to be his opposer and resistant on his own, but he will NEVER be successful in the long run though...). There is also the “Order of the 9 Angles”, which represent a dangerous and extreme form of satanism according to Wikipedia. In one of the most powerful an influential Masons centers/”churches”, if not the most since Albert Pike is buried there (the “grand commander”), the Southern Jurisdiction Scottish Rite (Masons “supreme council 33 grade), there is one of this 9 star/angle satanic symbols. Let’s unveil the complete U.N. logo: Its circular that represents the entire globe, and it has a “target” viewfinder over it. Divided into 8 equal parts (the G-8 group?... ), plus the center one, total 9. There are 2 leaves in the bottom, representing 2 horns, satan himself its “carrying and supporting the whole thing”, its “his world” after all...(2 Corinthians 4:4). There are 2 branches with 13 leaves each in both sides. 13 are the number of the oldest richest and most powerful satanic-illuminati lineage (families) in the world, that control the rest 500 richest families in the entire world today. The branches are in both sides of the world, because they control it all...even “opposite” sides in the world. They control EVERYTHING, EVERYTHING. They have the power and connections to do as they please, and they DO! The Unite Nations is a creation of the Masons-Illuminati obscure and secretive powers in the world, that want their New World Order to rule the whole world, and have worked for centuries now to have it finally completed. Will they be “successful” in the long term with their intentions of their evil plans? Who is this “small horn”? The Illuminati. They are small in number in comparison to the entire world population, but they eventually will control everything in the world. “And an army itself was gradually given over”…they will build their own HUGE army, they already have it working for them in secrecy all over the world but its still relatively “small”, but this one will be a new “official” out of the darkness one. The new United Nations army that will be increased in numbers as they conquer the rest of the world, which will be relatively easy with out the 2 current mayor “super-powers” ruling things (the USA and China). “An it kept throwing “truth” to the earth and it acted and had success” (verse 12). They will throw their truth all over the world, replacing Christianity first (Babylon the Great will be destroyed), and then at the end everyone will know whom the real “god” of this system of things is…satan the devil (2 Corinthians 4:4). The Masons-Illuminati did not exist back then. But satanists did exist though…they always have, since the Garden of Eden rebellion as stated in Genesis 3:15. Although the first explanation was correct regarding this prophesy, some prophesies in the Bible have double meanings and fulfillment. Barack Obama, he works for THEM too. When is the final part of Obama’s kingdom, and when he/they will cause ruin and prove to be successful? And even bring ruin also to the people made up the holly ones? They will start in May 2014*. * Now changed to May 2016. Obama has a year to have it completed after that, until May of 2016 when he will be struck down, so he/them are in a HURRY now, crunch time! They will start trying to destroy Jehovah Witnesses first, as satan is the main adversary and opposer to Jehovah God. And Jehovah Witnesses is the only religious group in the world that carry His Holly Name, and also preach the Good News of Jehovah’s and Jesus Christ Kingdom that will come and replace the one of satan (the current one). They preach the coming of Armageddon all over the world…they always have since 1914 (2014 will the 100th anniversary of their first given date for “the end”…it will be THEIR END as organized free religion though…). The Witnesses think that they will be the last to be attacked, but it won’t be so, satan and his followers know what the Bible says and what are the interpretation of the Witnesses regarding this. The Bible is like a “movie script”, it MUST be changed in some key parts in order to defeat this extremely intelligent and clever enemy…that is WHY Jesus said that he would send someone to tell YOU (them) the things COMING. John 16:12-13. They don’t want anybody of Jehovah’s people to survive Armageddon, nor the following Great Tribulation. Then when they fail…but they will kill many, I don’t know how many though…they will continue with the rest of the Christianity religions, any one that professes to be Christ followers, including the Catholic Church, that they have also infiltrated and used for centuries to control people, but it won’t be of ANY use no more when they finally will have TOTAL power of the “masses”. He is supposedly a Jesuit, and actually the very founder of the illuminati, Johann Adam Weishaupt who is said to had a “brilliant mind” was educated with them, and he learned a good deal of how the Jesuits of his time used subversive methods to obtain power. Again, as the same with first grades (1 to 3) Freemasons, Not all Jesuits are necessarily bad, I personally know some Catholic Jesuit priests that are people with good intentions, like “Mother” Teresa was also and helped very much poor and sick people. All of Babylon the Great will be destroyed before Armageddon. All the false world wide religions. The USA present government will fall by May of 2016, Obama will be killed if not directly by the enemy forces (China), it will be by whom put him in power in the first place. He will be the “escape goat” for the “failing” of the United States of America. A well thought about plan that will also back fire on him badly at the end…the devil doesn’t care whom he kills in order to have his plans completed “successfully”…like he did with our first fathers Adam and Eve. That will be similar to what happened to Adolf Hitler when he had to pay with his own life, when his army was defeated in World War 2. So at least their New World Order will be in place from about maybe July 2015 until July 2018 when Armageddon will come. 3 years of complete CHAOS and Great Persecution! And because of that “intelligence”, they won’t fight Jesus Christ nor his Angelical army at Armageddon in 2018…they are NOT stupid! These guys won’t give up as long as they are alive, just like Pharaoh did not give up even after seeing extraordinary miracles when Jehovah God provided escape for His people from slavery in Egypt. I don’t know how many will survive the first attack of Armageddon though, in both sides, good and bad. But for sure they must be equal in numbers…Jehovah will make sure this happens to “level out” the new “battle field”. So if 8 million of Jehovah true servants survive Armageddon, maybe the same number of satanists will survive too…another 8 million, then perhaps 8 million of “neutral” people between the two sides, for a TOTAL of 24 million, one million for each time zone all over the world. The satanist people will continue persecuting them for 40 years (both Jehovah servants and neutral ones…)…this will be a TEST of Endurance for ALL of them. I am afraid (I hope I am wrong on this though…) that people after 20 years old in 2018 wont make it alive into the New World, as it was the case for the Israelites that did not enter the Promised Land, but there were a few exceptions too…so WHO knows? But as it’s already written, it will be a GREAT CROWD like the book of Revelation says will get out of the Great Tribulation. Note, it does not say the ones that get out of Armageddon…Revelation 7:9-13. But it will be a different persecution than the one starting from 2014 to 2018, that will be fast and furious. Which will be an extremely well planed, evil world wide take over and extermination of Christianity and current governments. They don’t like too many people to live in “THEIR” New World Order. I think that they say that over 500 million in total world wide population is not “acceptable”…so go figure how many they plan to kill! The greatest “Hitler” camping of extermination is in the works! 500 families with 1 million “ruled and governed” slaved people each, is enough for them to live like princes I believe they think. How do I know the date of May 2014? I am NOT part of them, never have and NEVER will. I hate satan and his main core followers too…Jehovah tells us to HATE badness. And this is badness at its best and “purest”. Ignorant people may have forgiveness for their sins and crimes, but NOT these people that are in the KNOW. The “puzzle” is composed of many things that have happened to me since my own persecution started in the beginning of 2009. In September of 2009 when traveling alone to Los Angeles from Wisconsin in my car (to show my 3-D cinema cameras system there), a full scale well planed before hand mafia persecution was unchained on me, even FBI agents worked in it (The FBI headquarters are in Chicago). But thanks to Jehovah’s help, I survived it, but almost at the very end of my nightmare odyssey, in the border of Arizona and California, the last mafia guy that found me, was detained at a checkpoint. It was September 11 of 2009, at sunset time by Interstate 40. Ok but that doe not matter now (a lot of people know about the Chicago/Hollywood mafias inner circles…), but what it does matter is this recent car (fake but real, not “photo-shopped”) plates that are circulating the internet. That vehicle is the same color of the mini van that the satan disciple who was almost about to kill me was driving! Maybe is even the SAME car! Did you notice the expiration date sticker on the top right side? May of 2014. Later in March of 2011 after my interview with the detective and his refusal to “pursue” the investigation further, and when I realized the severity of the problem I was in, I had a nervous breakdown, and they put me in a mental institution at Mendota hospital in Madison Wisconsin for a few days on “watch”…10 or so days ordered by the court. He was amazed that I had survived for so long (a year), especially with his entire army against one unarmed man…all the Chicago mafia was hired to kill me, and even inside the hospital there was a “patient” that was sent after me, and worked for them, he wanted to kill me while I was in there. The Mexican Mafia was hired there to kill me after just a few months when I pissed some of my enemies (they were already spying all my moves since I got to Los Angeles.…but left me “live” since I had “surrender “ in the beginning of 2010, but they KNOW me, they have studied me since 2006. They knew that I was going to come back, sooner or later…and had the sword on my throat ready to cut my head at the first “wrong” move. Wrong for them, because I did nothing else than to work on my project and defend it…mine was and still is an intellectual war, theirs is both, intellectual and physical. They don’t think twice to KILL in order to “win at all cost”, I am starting to believe and have strong evidence that they are satanists too…my Good God they are everywhere! When my family kicked me out in Los Angeles for the same reasons my ex-wife had done before too, in the beginning of 2012, another family member went to pick me up to take me to live with him to TorC NM (Truth or Consequences, New Mexico). The mafia sent two guys inside (black men) as patients after me right away, well one first, but after I discovered him he was “neutralized” by the fact, so he asked for reinforcements that arrived the next day, and they both had cooperation with some of the hospital staff that were in charge of the “security” of patients there, they all in close cooperation tried to kill me my entire 3 day stay in there. They could not do so though…thanks to my God Jehovah. But at the second night of my stay, at bed time with my roommate in the next bed to mine (he was not in the mafia, just a regular mentally ill patient), satan got inside of him too, but this time he did not try to speak to me directly…last time in Mendota I prayed to Jehovah and did not want to listen to him much…so he left the woman body and could not say much to me back then. By the way, he gets easy in mentally ill people, that have weak mental “brains”. He can not do so with strong mental people, unless they directly invite him to do so of course. 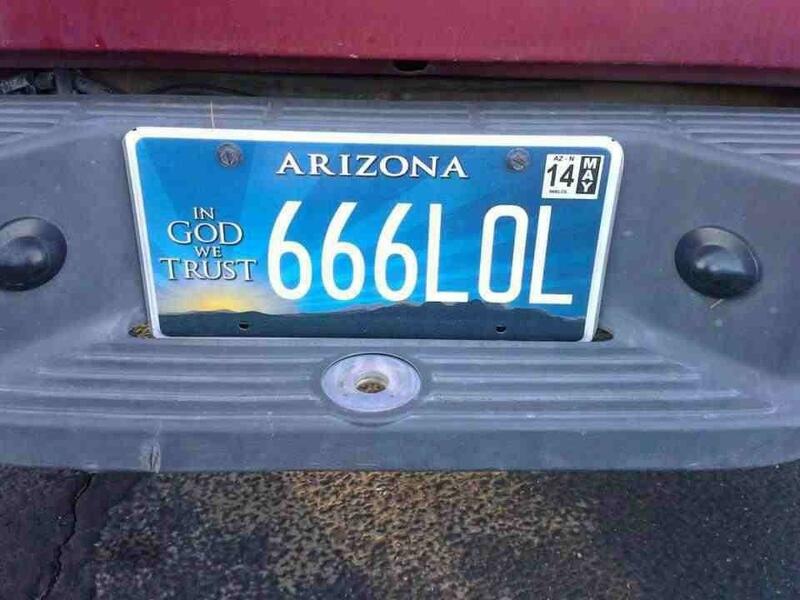 But this time in Long Beach, I heard in detail his message, he was murmuring and whispering his PLANNING in low voice, and mentioning the 666 in loud voice, and laughing out loud (LOL). He was celebrating victory before hand, since he thought his followers that are “good” in what they do (murderers), where inside there to kill me, so it was almost “impossible” for me to get out alive of that place. And you're the last to die for a mistake. “The road went black”, what color of skin is Obama? Then again five is mentioned once more, May is the fifth month in the year. That was the month when the Illuminati were founded too (May1 of 1776, the SAME year of the USA independence from England). They will hire all the mafias in the world and paramilitary groups first to do this, and then when in total power of the New United Nations government (their New World Order) ,with “Martial Law” worldwide, they will persecute and kill the rest of people in all religions and previous governments that will try to make a stand against them. Only the satanist-mason-illuminati cult will be left out intact, and will be protected by them. So who is the “666” TODAY? Revelation 13:18. 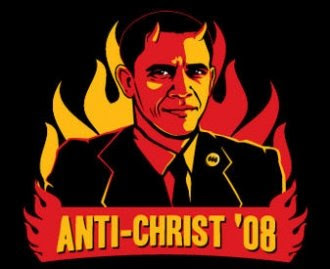 Barack Obama is, the “Anti-Christ” that some people were waiting for (the Antichrist though are ALL who do not believe in Jesus Christ…), but he will be replaced when he dies in May 2015 for another man, as this satanist high title passes from one man to another, just like the Presidency and Kingdoms pass to others when people die. Or maybe not, he could be the LAST one…since the Illuminati as a group will govern the whole world after him in an open not conceived way like they do now. So it won’t be need for more “puppets”…like Obama and others are for them. I have many details about this and my entire persecutions and experiences since 2009, and also Visions that Jehovah God has given me to protect myself (I have seen persecutions and how they would end, in Visions before they took place…). But it would take a LONG book to be written…and time is SHORT now, very short! But with this info so far, would YOU believe me? I am already dead; buy would YOU want to be too? They will be VERY SURPRISED in how I am in the “know” about this, maybe only a handful of people on their side know this entire plan in detail. And I am the ONLY one outside them that KNOWS! How many will read this message? How many will BELIEVE IT? All the proof is already there regarding the New Word Order illuminati-satanic plan, even if you don’t believe me, believe your “gut”, your intuitions, this demonic satanic group wont stop against any one in order to take their evil plans to completion, and unfortunately as foretold in this prophesy of the book of Daniel, they will be successful. But that does not mean that you are left hopeless, I have not being abandoned by my God Jehovah, my King Jesus Christ His beloved son, nor their powerful Angelical army. Nor will YOU if you have a strong FAITH and LOVE for them too, but that doe not mean an “automatic protection plan” for you either, Jesus said in Matthew chapter 24: 15-16: “When you start to see these things, begin FLEEING to the Mountains!” (Wilderness, separated from society…). Also that part of Matthew 24, most Witness said that it was “already” fulfilled in the first century…but was that a Great Tribulation like never before in history? There were and have being worse tribulations after the destruction of Jerusalem. The prophesy CLEARLY says that that time will be such as one that has NOT occurred since the beginning until NOW, nor will occur later. Matthew 24: 21. Like I already mentioned, the other Great Tribulation after Armageddon will be less in magnitude and more slow…the Great Cleaning I call that one it in another post/chapter. Note that verse 15 about the Prophesy in the book of Daniel, talks about the “disgusting thing that causes desolation”, and tells the reader to use DISCERNMENT! Would you do that, leave the “comforts” of modern civilization for the “unknown” in the wilderness? What do you value more, your possessions or your LIFE? Don’t be like Lot’s wife, DO NOT look back! Also it says that that time would come like a “Thief” in the middle of the night…and it was going to be so in May of 2014, but now that JEHOVAH has helped me to discover this evil plot, it may be even SOONER than that! And that one was given a LOT of publicity world wide given its antiquity…now do you think that people will put any attention to a “crazy” guy with a blog/book that no one has read it entirely? And then Armageddon will come, I already mentioned this here in my blog/book, but I will do it again, please remember that Jehovah TOLD Noah the START (in 7 days) and DURATION of the Flood (40 days), but NOT the final END of it…he had to send birds to find out that. Same here, we know the start (7 years before it will happen 2012-2018), the duration (40 years) but NOT the complete END of this wicked world. Meditate on this and then take ACTION! You have 365 days to do so! (I still hope so…). I don’t know what else to say or do to convince YOU of all of this, if Jehovah God wanted to, He would send His powerful Angels to deliver this message directly to you or your religious/activist/political leaders, but if He did not do that and chose me instead, is because of a GOOD reason. Would your religious leaders or even YOU, whistand what I have not only these past 4 years of direct fierce persecution, but my entire life of persecutions and sufferings? If you “kneel down” to satan to “survive” for a few years without leaving your “nice life” and comfort, you will be finally destroyed by Jesus and his powerful army in July 10th of 2018 anyways. Take your OWN poison if you don’t LOVE LIFE! Real life, Eternal and Everlasting Life, even if you DIE now doing Jehovah Gods Will, you will be RESURRECTED in the New World later. And their WILL now is to RUN and HIDE! This world has been and warned enough, now is time for the modern “Noah’s” to save themselves! I am not a saint; I am a regular human being, IMPERFECT and a sinner like YOU too. NO ONE is 100% good, only Jehovah God IS, Jesus His son said it. And they DO NOT LIE! I think that the whole point of Jehovah using a single imperfect man to discover this satan evil plan, was to prove that Adam our first father who was PERFECT at the time, and even in that state he fell in satan trap and misleading tactics…could have him discovered satan evil plans and rejected him too if he wanted it? Of course! But he did not want to do that…satan did not put a gun to his head to force him to follow him, did he? The same HERE, it’s YOUR own decision, Jehovah nor satan will FORCE you to take sides…it is YOU the one that DECIDES ultimately what to DO! And so it does Jehovah God. Even when I am doing other things, such things are always in the back of my head looking for “clues” and studying new “moves” of the enemy. Why? Because I say that to my self, inside my heart and mind, and he can not touch those inner places that are the “temple of Jehovah God”, YOU are too. An imperfect descendant from Adam and Eve defeated satan final plan at the end. It CAN be done, if I could, YOU too can do it as well! But the question now for YOU is this: Will he defeat you too, or YOU will defeat him?... (even if he kills you at the end like in my case…). I rather die in the hands of satan and his human followers (for you if founded when hiding…), that in the hands of Jehovah God. Jehovah can resurrect people, satan cannot. If I go away and deeply hide from these people (I can warranty you that they would NOT find me...but Jehovah WILL, no one escapes Him, NO ONE. ), WHO would give you this message of Divine Salvation? I don’t care for material possessions; I care for PEOPLE I LOVE. Even if I don’t know you personally and you are reading this, YOU are my human brother or sister (besides the satanists that will read it too, and they are NOT my brothers nor sisters at ALL!). And if my King Jesus Christ gave his life for YOU and me, I will do the same for YOU. But most importantly thanks to Jehovah God, WE can understand it NOW. Update regarding the “EYE for an EYE warning” chapter/post, whoever kills a Jehovah Witness from TODAY forward (April 30th of 2013), ALL the material and intellectual murderers (even the spies and informants), will DIE in no more than 365 days (1 year) after the fact, and they WONT be resurrected to be judged in the New Just World to come, they will die in FOREVER terms. So THINK TWICE before you kill a Jehovah Witness. This is NOT a threat, is a WARNING! Remember, for every Jehovah Witness left alive, people in YOUR side will be also left alive in he same number after Armageddon, so if I was you I would actually protect them! 40 years are 40 years…better than nothing! Mayday is an emergency procedure word used internationally as a distress signal in voice procedure radio communications. It derives from the French venez m'aider, meaning "come help me". "When anyone is replying to a matter before he hears [it], that is foolishness on his part and a humiliation." 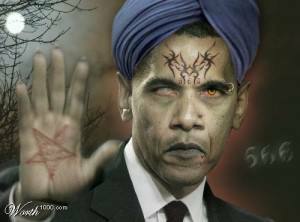 I mentioned before when I originally wrote this post that the "666" title was passed from man to man, it was incorrectly SAID, since there is ONLY ONE Man with that tittle, Barack Obama. Did You Know That Adolf Hitler’s Nazi Party ID Card Was 555? -By the way, I am the Agent 777 whom is NOT Jesus but His Messenger!, "That One" mentioned by Jesus Christ in John 16:12-14 or "The One" mentioned in Revelation 13:18.